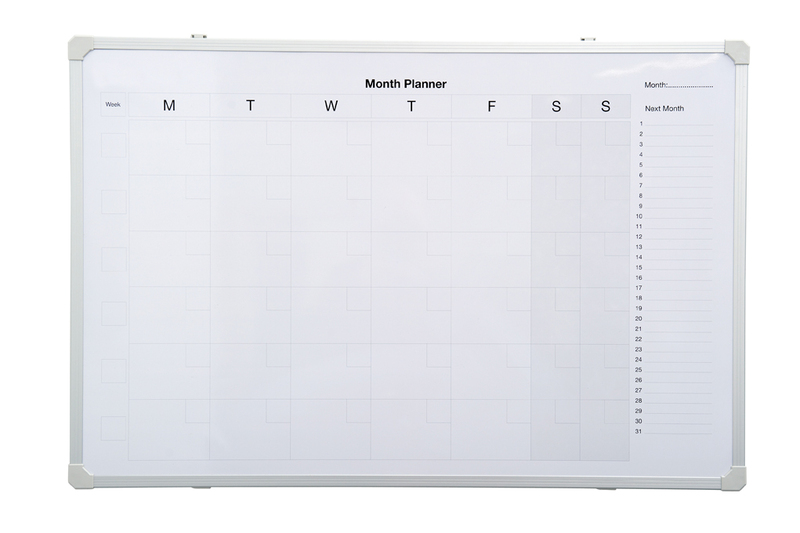 This magnetic whiteboard has a pre-printed monthly grid to help with planning. There is lots of space for writing notes and appointments so you can easily see the month at-a-glance. The writing board is 900mm wide and 600mm high with an aluminium frame. Ideal for use in schools. Dispatched within 5-10 working days.